Last week we finished our look at pathfinding and graph search algorithms, with a focus on Minimum Weight Spanning Tree. 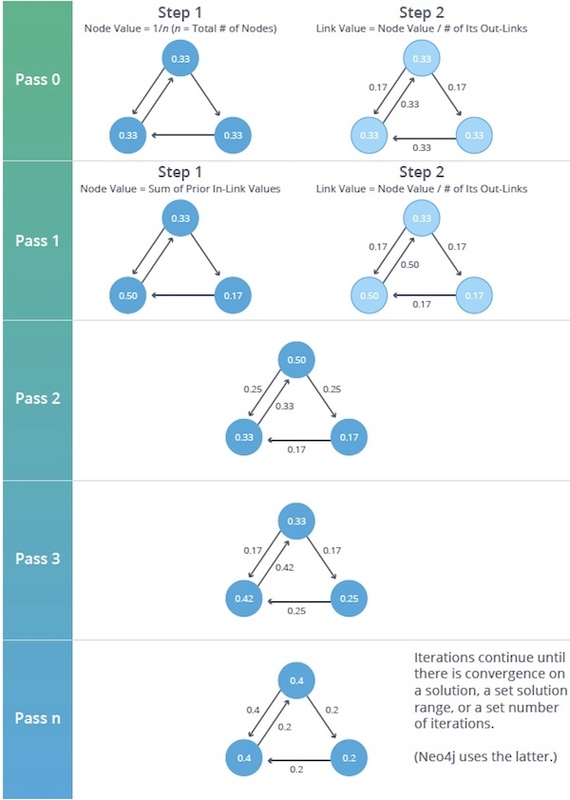 This week we begin our exploration of Centrality algorithms, with a look at PageRank, which estimates a current node’s importance from its linked neighbors and then again from their neighbors, using examples from Neo4j. One interesting bit of trivia about PageRank: It is named after Google cofounder Larry Page, and is used to rank websites in Google’s search results. 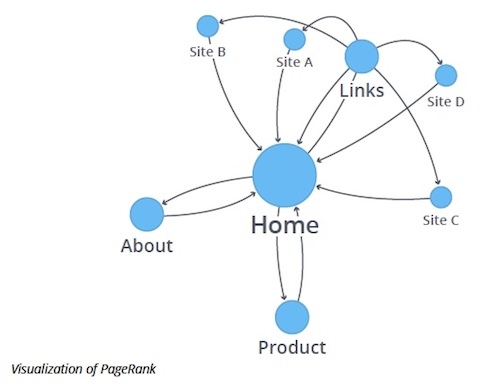 PageRank is an algorithm that measures the transitive, or directional, influence of nodes. 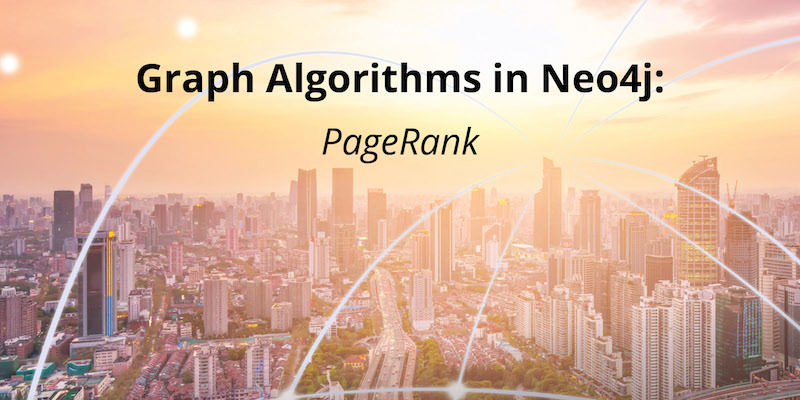 All other centrality algorithms we discuss measure the direct influence of a node, whereas PageRank considers the influence of your neighbors and their neighbors. For example, having a few influential friends could raise your PageRank more than just having a lot of low-influence friends. PageRank is computed by either iteratively distributing one node’s rank (originally based on degree) over its neighbors or by randomly traversing the graph and counting the frequency of hitting each node during these walks. 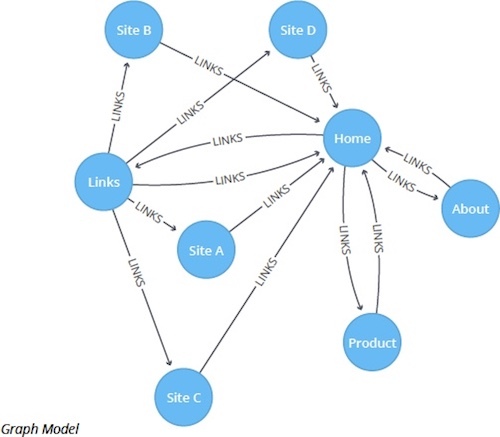 PageRank counts the number and quality of links to a page, which determines an estimation of how important the page is. The underlying assumption is that pages of importance are more likely to receive a higher volume of links from other influential pages. d is a damping factor which is set between 0 and 1. It is usually set to 0.85. When Should I Use PageRank? PageRank is also used as part of an anomaly or fraud detection system in the healthcare and insurance industries. It helps find doctors or providers that are behaving in an unusual manner and then feeds the score into a machine learning algorithm. Rank sink occurs when a network of pages forms an infinite cycle. Dead-ends occur when pages have no out-links. If a page contains a link to a dead end page, the link is known as a dangling link. Let’s calculate PageRank on a small dataset. 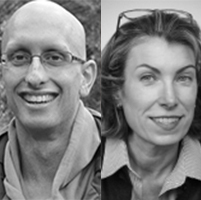 The following Cypher statement creates a sample graph of web pages and links between them. Now we run the PageRank algorithm to calculate the most influential pages. Execute the following query. As we might expect, the Home page has the highest PageRank because it has incoming links from all other pages. Also, it’s not only the number of incoming links that is important, but also the importance of the pages behind those links. As we’ve seen, PageRank is used to estimate importance and influence, to suggest Twitter accounts to follow and for general sentiment analysis. Next week, we’ll have a look at another Centrality algorithm – Degree Centrality, – which measures the number of relationships a node has. It’s broken into indegree (flowing in) and outdegree (flowing out) where relationships are directed.